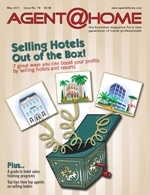 You are currently browsing the category archive for the ‘Cruising Amenities’ category. So in following up from my past post about the Quantum of the Seas (https://travel-rrific.com/2013/02/06/royal-caribbeans-sunshine-project-quantum-class/), let me introduce to you my exclusive web page that gives you the entire Quantum Experience. Royal Caribbean’s dedication to innovation continues! From new experience of a 360-degree view from a glass capsule at 300 feet in air, North Star cannot be found on any other cruiseline. Experience RipCord by iFly (the first sky diving simulator at sea), to the SeaPlex where you can roller skate or smash into your family and friends with Bumber cards. Seabourn Cruises – You Deserve it! So this week I was privileged to have lunch with John Delaney, Senior Vice President of Marketing & Sales, at One Market Restaurant in San Francisco to celebrate Seabourn’s 25th Anniversary. This is a great luxury cruiseline that plans on adding new ships to their fleet over the next 2 years. What I really like about Seabourn for my clients is their service, attention detail and overall a great vacation experience that cannot be offered elsewhere. There is so much included in cruising with Seabourn that you don’t have with the other mass market cruiselines. All of the dining venues are included – so no surcharge for a specialty restaurant! Complimentary wine, spirits, sodas & bottled water, even in your own mini-bar in your stateroom!!! Not to mention, ALL of the staterooms are suites! What I think really makes them magical are the dream touches they provide – such as Caviar in the Surf! So, now that you are ready for that perfect vacation – give me a call and let’s discuss planning it! Today I got the privilege to take a tour and inspect Princess Cruises renovated Grand Princess. I sailed on her 11 years ago and I was looking forward to seeing her after Princess spent so much money to update her. Overall, Princess Cruises…you have failed. So what is the big deal about the removal of Skywalker’s lounge? Passing off the extremely small One5 Nightclub as the solution…fails. Perhaps a little sprucing up of the Princess Theater should have been placed into the budget? It is small, dark and dingy! Since we are talking about dingy…the kids club is sad. Why would a kid want to spend 5 minutes in the small, dark and outdated play rooms? Princess?!?!? I think you forgot about the staterooms too! With the exception of new sheets and a duvet, THEY LOOK TIRED AND WORN. Don’t get me started on the old and dated tile in the bathrooms. The only true upgrade to the rooms are the rather small and disappointing flat screen T.V.’s = fail! I kept hearing today on how Princess Cruises is “Innovative.” Huh? 10 years later, Princess is still hanging onto the “innovation” of having the “Movies Under the Stars.” It’s a very large T.V.! Whoopee Doo. Then there’s the mention of “innovating” the concept of Anytime Dining. Wrong – NCL did that first. And, lastly the addition of specialty restaurants. Yeah, every cruiseline has those. Bottomline, there is reason Princess has not released a new ship in 5 years…They simply do not have the creative imagination to be truly “innovative” as their competitors in Celebrity Cruises, Holland America and even Royal Caribbean (The King of Innovation). I saw a preview of the Royal Princess. ****yawn**** The most exciting thing I learned today is that her God Mother will be HRH Dutchess of Cambridge – YAY Kate! So Princess Cruises, continue to keep your die hard loyal to the end cruisers, I will be placing my client’s on cruiseships that really give them the full cruising experience for their money. Do you like to run? Do you know someone who pretends to like to run? Even better – do you know a fitness trainer or facility? This is a fantastic opportunity to combine your love of fitness with a much deserved vacation! Royal Caribbean cruise line is holding a Royal 5K run in St. Maarten on December 1, 2012. So pack before you pack your running shoes, give me a call or send me an e-mail to get your $250 deposit applied – Deadline is August 3, 2012!!! The first of 2 ships will debut in the Fall 2014 and will hold 4100 guests. However, Royal Caribbean is keeping all other details very sshhhh, sshhhh. Perhaps similar to Celebrity Solstice class of ships in design? So stay tuned! As more information is released, I will alert my readers, ASAP! You Can’t Overcome All Objections! Without a doubt, I will go that extra mile to make sure you have the vacation of your dreams! Disney Cruise Line recently released details regarding its new 4,000-passenger Disney Fantasy ship, which is scheduled to debut in March 2012. Among the unique features is the Bibbidi Bobbidi Boutique. At the Bibbidi Bobbidi Boutique on the Disney Fantasy, passengers ages 3 on up, can get makeovers to resemble their favorite Disney princesses and pirates. Captain Mickey Mouse, Princess Minnie Mouse and First Mate Minnie Mouse and Under the Sea packages will also be offered. After making their royal entrance, young princesses-to-be are greeted by their very own Fairy Godmother-in-training, who will transform them with the most magical makeovers you can imagine. 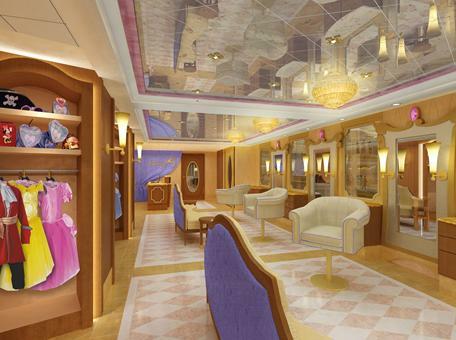 On pirate party nights aboard the Disney Fantasy, the Bibbidi Bobbidi Boutique will transform into the Pirate’s League, where boys, girls and grownups can get ready for the pirate life. You will be prepared for a swashbuckling evening with beards and bandanas, swords and scars, earrings and eye patches and more. The Fantasy will sail weeklong Caribbean cruises from Port Canaveral, Florida, with its maiden voyage scheduled for March 31, 2012. The itineraries feature a mixture of stops at St. Maarten, St. Thomas, Grand Cayman, Costa Maya, Cozumel, San Juan, Puerto Rico and Disney’s private Bahamas island, Castaway Cay. Now this is how to Watch the Superbowl!! SANTA CLARITA, Calif. (February 3, 2011) — Football fans aboard all Princess Cruises ships around the world will have the opportunity to enjoy a super tailgate party at sea this Sunday February 6, with prime viewing of the match-up between the Pittsburgh Steelers and the Green Bay Packers in Super Bowl XLV. The “Big Game” will be broadcast fleetwide to passengers, including viewing on the ships’ 300-square-foot super-size “Movies Under the Stars” screens. Passengers will be able to follow the action between the AFC and NFC Champions, plus see the halftime show with a performance by the Black Eyed Peas. Fans can enjoy the game with an array of tailgate treats including specially prepared chicken wings, pizza, pigs-in-a-blanket and other game day “munchies,” plus beer specials. Super Bowl broadcasts are planned for all ships in the Princess fleet, subject to satellite availability. So contact me today, to book your next Superbowl Party!